Your front door is the entry into your home and your family. It gets the most traffic, and it’s a significant part of what people see when they see your house. It’s also how you protect yourself from intruders and the elements. 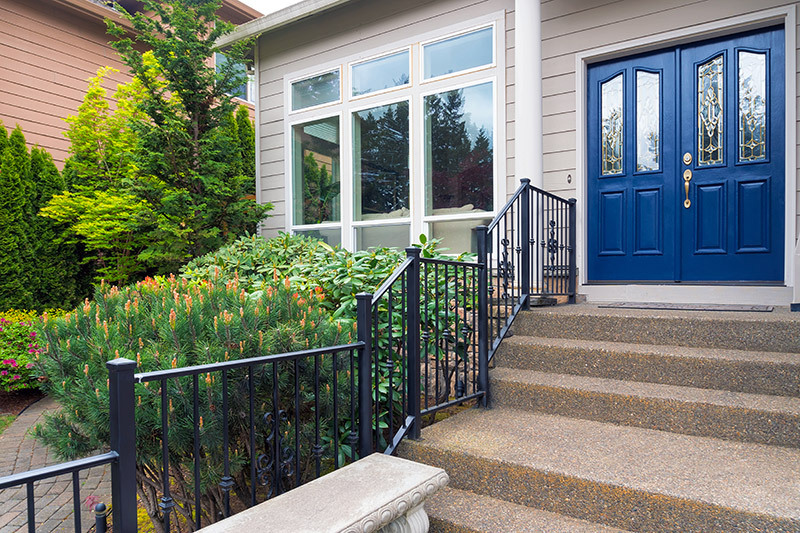 Here are some steel entry door benefits you need to know. Mild steel doors are made from standard steel. They are welded to MI sheets. Corrugated steel doors are made from corrugated steel. They are welded to the shutter frame. Hollow metal doors can look like wood but with the additional benefits of steel! Talk to a professional near you to determine what door is best for you! Choosing a material for your door is just as important as the look of the door. Here are some of the benefits of steel doors. Most burglars enter your home through the front door. Steel doors are the most secure option because of their strength. 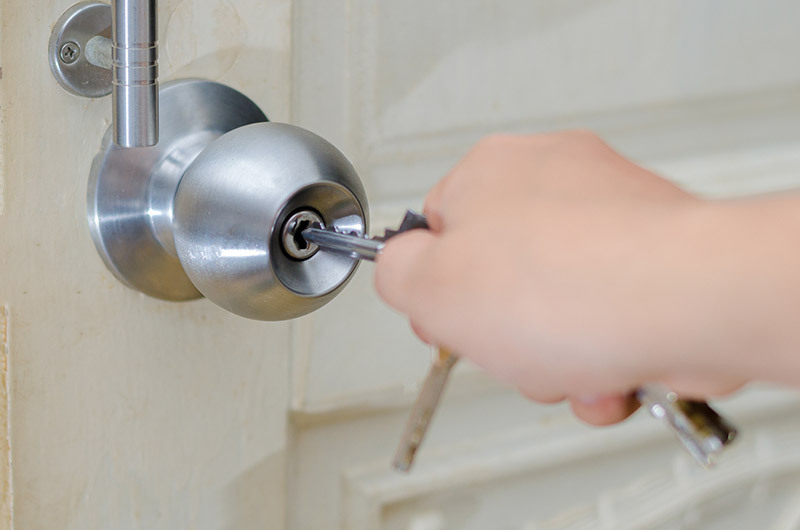 You can keep you and your family safe by switching to steel doors and looking into additional security features. Your safety is important to you, and it’s important to us, too. Your front door needs to protect you from the elements and any other dangers outside. Steel happens to be one of the strongest materials available. That makes steel doors especially desirable in areas with harsh weather. A steel door will not warp like wood. In fact, it won’t see any negative effects from rain or water at all. Strong steel doors won’t dent easily, either, so it’s great for homes with children who might accidentally hit the door while playing. Your front door is one of the first ways that outside air can enter your home. When the outside air enters your home, it can cause you to need more air conditioning and heating. The more air conditioning and heating you use, the higher your utility bills. Don’t let this be a problem for you. Steel doors have a thin layer of foam inside of them that helps capture the outside air and prevent I t from coming inside your home. Your front door is a large part of your curb appeal. Steel doors make for some of the most attractive options because they can be virtually any color or style. You can even find steel doors that mimic the look of wood. Curb appeal can substantially affect the value of your home to make sure that you have a great front door. You can even add decorative glass to add additional flair! Remember that the more ornate your steel door and the more features, the more it will cost. A home requires a lot of upkeep. It’s best to reduce the amount of work you need to do. Steel doors will help contribute to that goal because they don’t need a lot of work. All you have to do is wipe them down every now and then and your door will look great. If you get a vinyl coating, they won’t even need to be repainted later. However, a simple coat of paint allows you to change the color of your door whenever you want. You may have to update the paint if you choose that option, but it also gives you a lot of freedom. Steel can withstand heat and fire much better than alternative options, but that doesn’t mean that every steel door is fire-rated. Look for the sticker that will tell you the door’s fire rating. It’s recommended to look for 20-gauge steel skin and a fire rating of at least 20 minutes. Your door will be able to hold back the fire for 20 minutes, allowing you and your family to reach safety. Building codes generally require that you keep the fire rating sticker on your door. Our resources are a valuable commodity, and if we don’t think ahead, we will eventually run low on common necessities. That’s why it’s extremely important to recycle everything we can- this includes our doors! Steel is a recyclable material, so look around for a place that sells recycled doors. You can even save money this way! When you’re ready to replace your door again, 100% of the door can be recycled. Be sure to take it to a recycling facility in your area instead of throwing it out on the curb. If you’re the creative type, you can even look at some of these creative ways to recycle steel doors. Steel doors can be painted virtually every color. They can even mimic other types of doors, such as wood. Steel also doesn’t require the large frames that wood doors need to keep them secure. These features make steel great for any type of architecture. Steel doors look great with a country cottage or a modern skyscraper. Your steel door has the ability to last over 100 years. Since they are so strong, you won’t have to worry about repairs. If you want a door that is sure to last, go with steel! If you really want your door to last, look for one with a high fire rating, 20 gauge steel or higher, and a polyurethane core. Steel doors undoubtedly have a huge amount of benefits, but nothing is perfect. Steel doors may not be able to provide the authentic wooden look that wood can. They can also be a little more expensive because of their strength and longevity. Finally, salt water can lead to corrosion, so they are not the best option for people near oceans. Now that you’ve made the decision to go with steel, you will see the benefits right away. Call a professional to get a consultation today. Remember to have fun with it, too! Your new door can really change the look of your home, and the options with steel are endless! Tired of your old front door, or just looking for a replacement? Take advantage of the unique styles and options of Feldco steel doors. Get a free quote today.